On June 9, 2018, Team TFG hosted our annual Shred It Day. This event encompassed all things shredded. Providing the community with an opportunity to safely dispose of confidential documents while enjoying quality shredded BBQ. 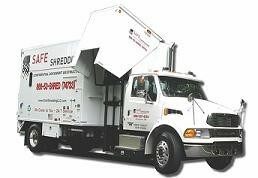 An on-site shredding truck was present, as well as catered BBQ. Our goal was to shred 10,000lbs of documents, helping the community declutter and reduce access to confidential information.